skiing, hiking, cooking, soccer, baseball, ultimate frisbee, remodeling. 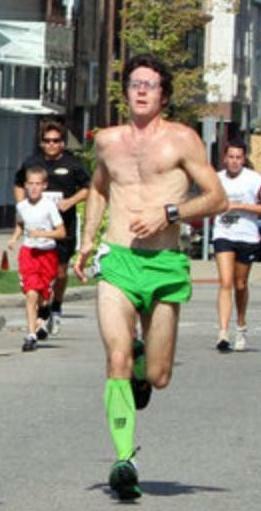 Running: I'd like to run a sub 2:40 marathon and a sub 1:15 Half. I'd like to keep getting faster and someday reach my maximum potential. Run a marathon in every state. Life: I'd like to get married, have kids and continue making memories with them. I run simply because I love it! I love being in the outdoors, breathing the fresh air, running in the park amongst the trees and along the rivers and around the lakes, running on trails, roads, grass is all so much fun! 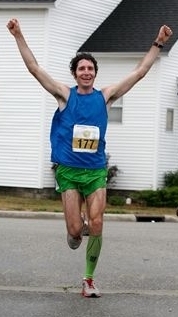 For sure: running the Beaver Island Marathon last fall. I drove 8 hours and took a 2 hour boat ride filled with runners out to the island. I ran the marathon really well, starting out conservative then catching runner after runner until I took the lead after about 10 miles. My PR was 3:09:24 at the time and I was hoping to break 2:55... I finished in 2:45:10 and won by several minutes. That was one of the most incredible feelings I've ever had at a race! 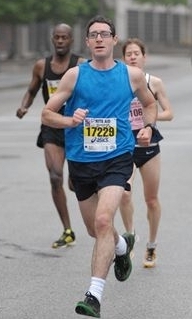 I pace because I love to run marathons, love to have an impact and help others accomplish something big, and I enjoy meeting new people and talking about running. Because I will help them reach their goal, tell them about some of the races and experiences i've had such as my races in alaska, bermuda, houston, boston, rochester, beaver island, etc. I love motivating people and helping them achieve their goeals. Long runs are the key to running a marathon. For me, running 2 hard and then 1 week easy works well if i'm training to run a fast marathon. Get the miles in and the benefits will show. I volunteer at a number of races and am the secretary on the Peace Race board. I also make donations to different organizations within the church and participate in the annual Passion Play.